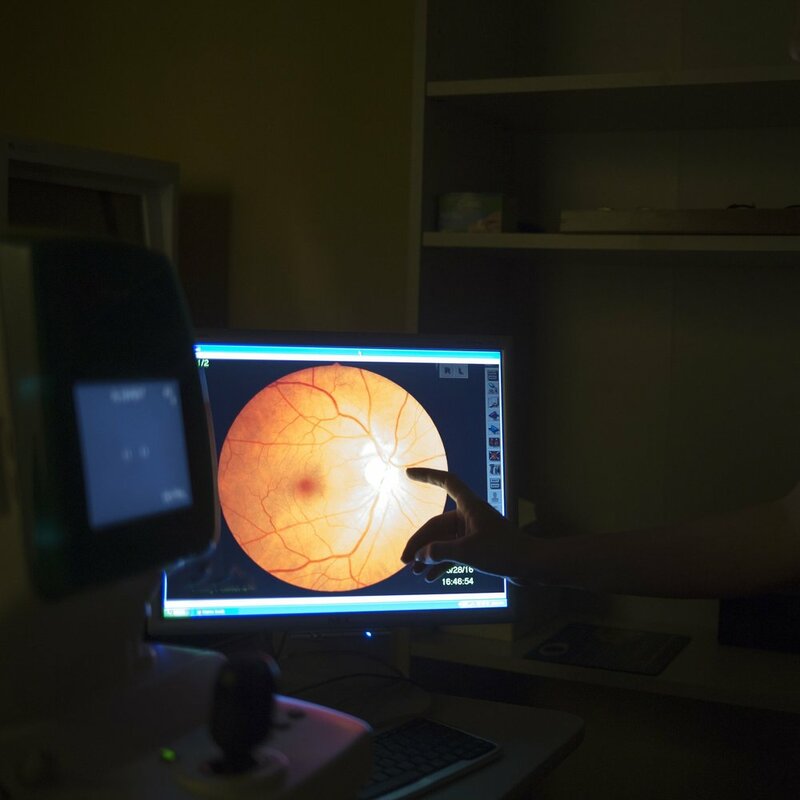 At Illinois Eye Care Center and Image Optics, we offer onsite cutting-edge technology so you won't have to travel far for the right diagnosis. The technology used for Retinal Photography non-invasively photographs the optic nerve, blood vessels and retinal tissue that lines the back of the eye. These images allow for a thorough evaluation of the health of the back of the eye, providing side-by-side comparison of retinal status from year to year and an easy method for documentation and correspondence between specialists. The patient sits in front of the instrument, resting their chin and forehead against a rest to assist with the stillness while the image is captured. This piece of equipment provides non-invasive imaging to examine specific layers of the eye such as the cornea, retina and optic nerve, measuring their thickness and evaluating regularity. It also helps assess the fit of speciality Scleral and Hybrid contact lenses. The patient sits in front of the instrument, resting their chin and forehead against the a rest to assist with stillness, resulting in the clearest image as the OCT scans the eye.